Bellator 175: Rampage vs. King Mo 2 was held tonight at the Allstate Arena in Rosemont, Illinois. The event aired live in prime time on Spike TV. 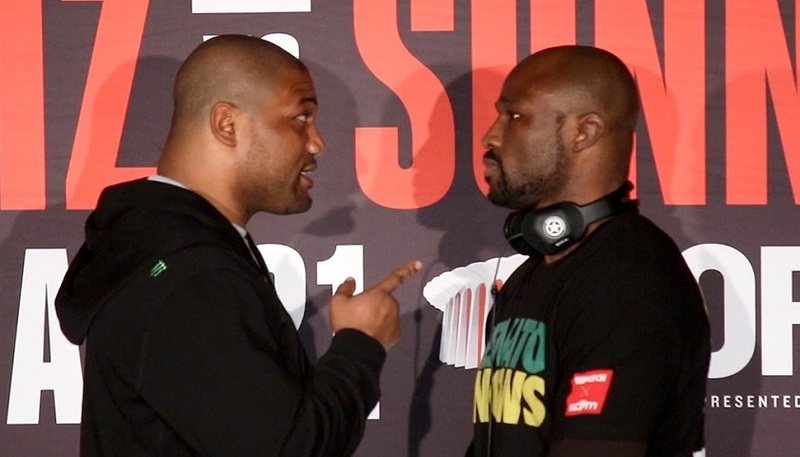 The last time headliners Quinton Jackson and Muhammed Lawal met it was at Bellator’s inaugural pay-per-view event in May 2014. Jackson won a unanimous decision that night. Tonight the fight was contested at heavyweight vice light heavyweight. Jackson weighed in yesterday as his heaviest ever, 253 pounds, a 41-pound advantage over Mo. Tonight the roles were reversed at Lawal would earned the unanimous decision win over the former UFC light heavyweight champion. Following the win it was announced that Lawal would fulfill the fifth pay-per-view spot at Madison Square Garden when he fights Ryan Bader. Yesterday during the weigh-ins co-main event fighter Emmanuel Sanchez missed the 146-pound featherweight limit. His fight fight Marcos Galvao changed to a catchweight. Despite the weight problem Sanchez won a unanimous decision over Galvoa.